By the 1920s, asbestos was used as a heat retardant in nearly every industry. Old appliances and infrastructure in America still contains asbestos, even though it’s been banned by the EPA. Boilermakers, specifically those who conduct maintenance on older vats and boilers, are at a particularly high risk of asbestos exposure. Asbestos is a soft, fibrous metal that was used to fireproof many buildings and machines, and was also used in heat resistant gear like aprons and gloves. Because boilers produce an immense amount of heat, asbestos sheets would be wrapped around pipes and covered surrounding walls. Asbestos would also be used in furnace doors, hinge gaskets and even sprayed on and inside furnaces to prevent warpage. Due to the tight work space and little to no ventilation, boilermakers have a hard time preventing asbestos from entering the air. Any time a worker has to grind, cut through metal, or rupture an asbestos blanket, asbestos fibers can spill into the air. Microscopic fibers of asbestos cause irreparable damage to the lungs and can significantly shorten a worker’s lifespan. 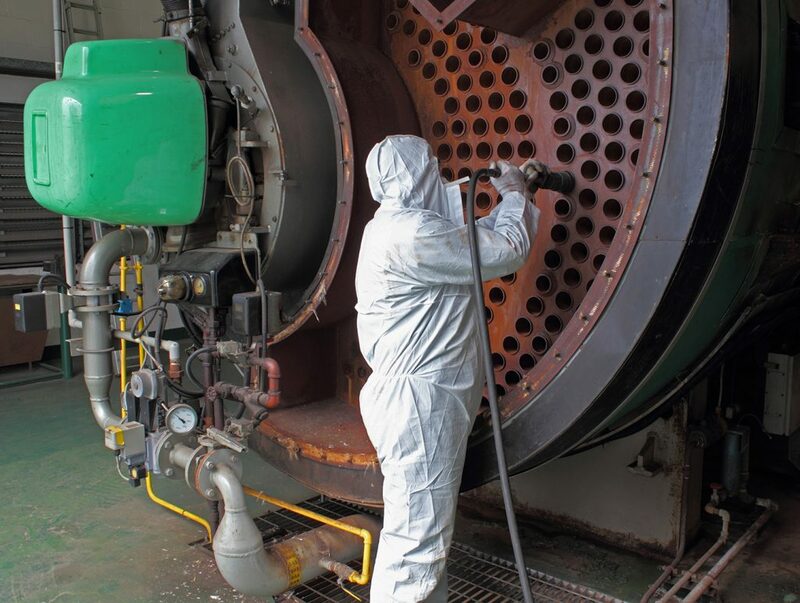 Many industrial and home boilers can go decades without need for repair or replacement. For this reason, many boilers that break down today were made before 1980 and may contain asbestos. If you believe you have been exposed to asbestos, you must seek medical attention as soon as possible. Collect all documents that show where you might have been exposed to asbestos. In addition, you should keep a record of your medical bills and lost wages as well as a journal of your experiences and thoughts as you go through this process. Your best chance to recover a fair settlement or court award is to contact an experienced asbestos injury lawyer. Tracking down the person or company responsible for your asbestos exposure will be difficult and you need the resources of a seasoned mesothelioma attorney. The company that manufactured the boiler may have gone out of business, or your employers may be at fault for not taking the correct steps for asbestos abatement. An experienced asbestos injury lawyer will give you a free case evaluation to answer your important legal questions. If retained, an asbestos lawyer will have the knowledge and resources to track down the responsible parties and pursue your claims against them.